In July 2004, a closed competition was held for the artistic design of a kindergarten to be built on the grounds of Lakeside Park. Anna Jermolaewa’s and Manfred Grübl’s design was selected and then executed in 2005. The children’s playground takes its cue from the landscaping of the campus while relating to the special features of the park and its themes. 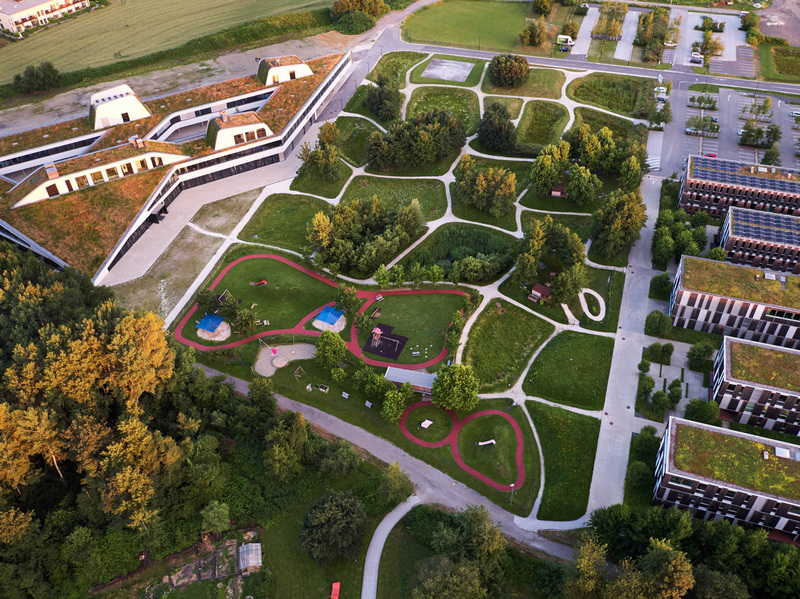 A motorway for tricycles in the shape of a figure eight and a hilly landscape with slide, lounge, sand play areas, playhouses, water games, and playground equipment are not only tailored to the needs of the children but also fit in perfectly with the natural surroundings. Anna Jemolaewa (b. Russia, 1970) lives and works in Vienna. Manfred Grübl (b. Austrian, 1965) lives and works in Vienna.